I`m not into pinball machines but I came across one I can buy maybe cheap. I`m just wondering if anybody knows a ballpark figure what it would be worth? 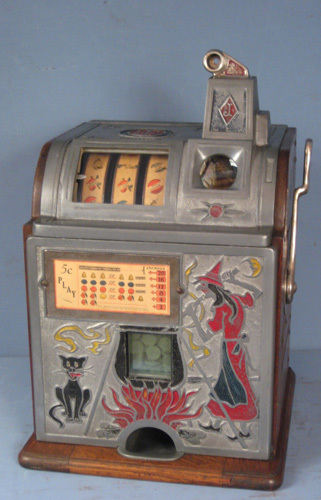 It`s a functioning pinball machine from 1948 that takes pennies. Thanks! Since it has no flippers the machine is worth about 250.00 if the back glass and playfield is in great condition.